Back in early January 2013 I took a little trip to Miami. 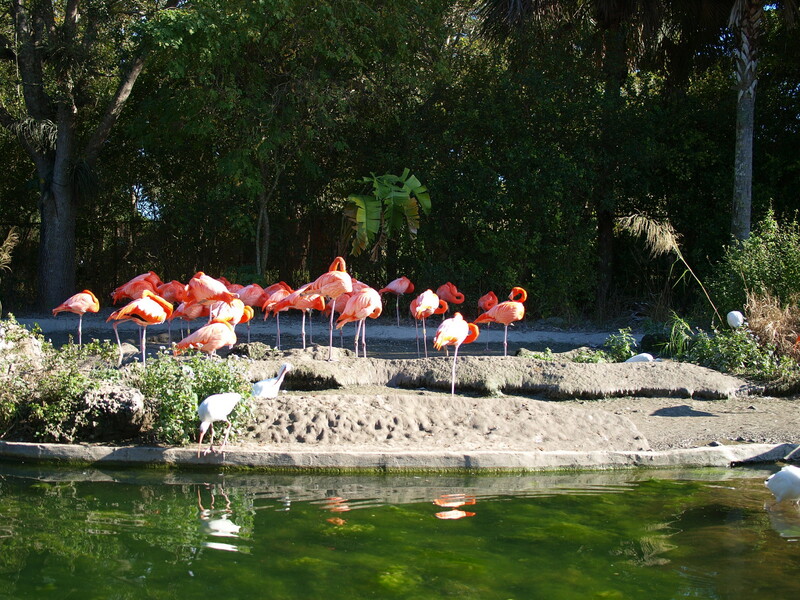 On my previous visit I had not been able to visit the Zoo there like I wanted, so this time I was sure to make time to do so. First, view outside of my hotel. It was in the town of Miami Beach, right on the beach. Unfortunately I didn’t get a beach front room, but the view from the west side was still quite interesting. So the drive to the Zoo was actually a pretty long one, and involved a few toll roads – something in all my travels I still haven’t really gotten used too. Thankfully most toll companies allow you to pay the original toll online with minimal fuss these days. 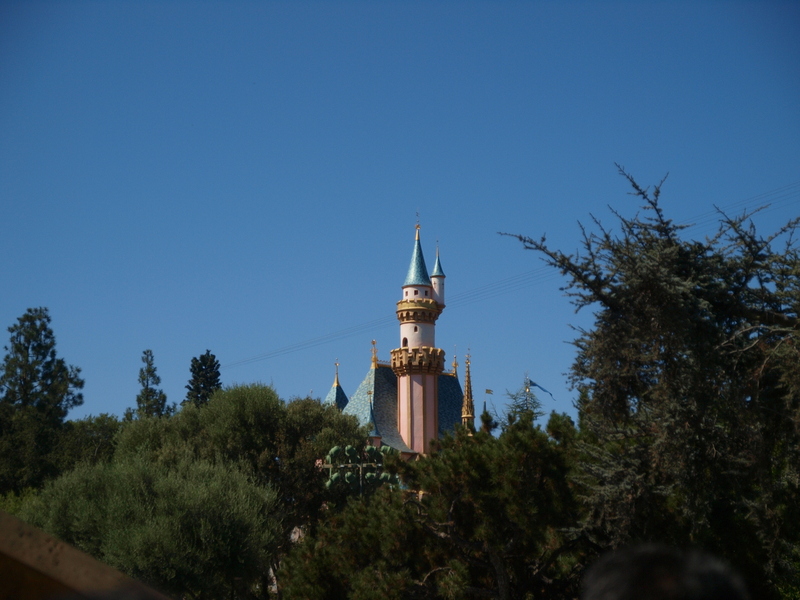 An early fall trip to Disneyland in Los Angeles is starting to be somewhat of a tradition in my family. Once again we drove down from the Portland area along the I-5 corridor. The return trip always includes a stop over in San Francisco. This was the same trip where we stayed only a couple of blocks away from Venice Beach. We always go to the right, to enter into “Tomorrowland” first. I’m still up in the air about the 1990’s refurbishment, and I really miss the “People Mover” for some reason. The Astro Orbiter is the first ride in this part of the park. It replaces the older Star Jet Ride that opened in 1974. 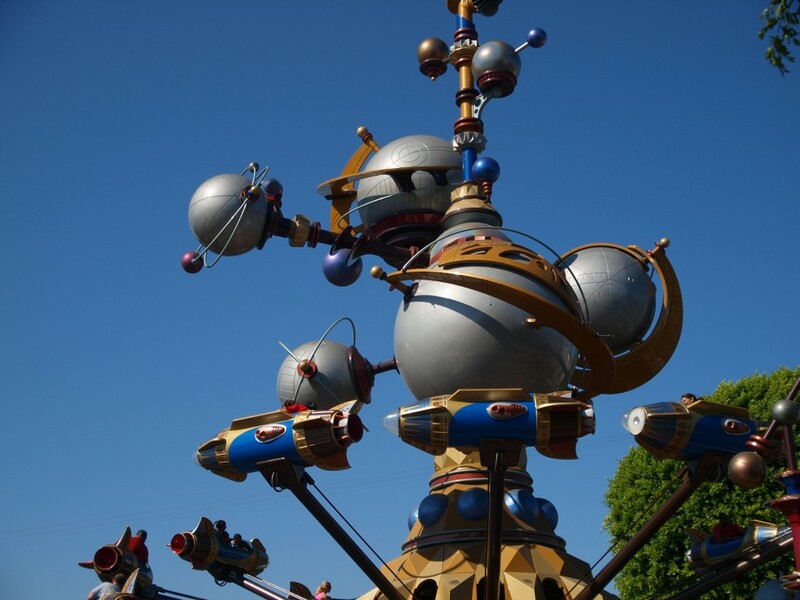 Geared towards younger children, the ride orbits around a fake orrery showing an unknown Solar System. Here you can just barely see the top of Cinderella’s castle through the trees. 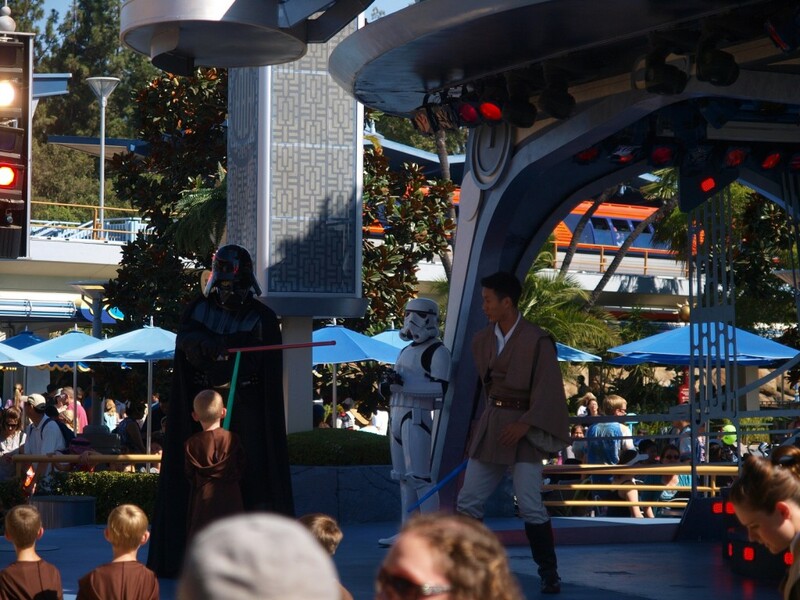 One of the cool parts of Tomorrowland is the Star Wars themes. 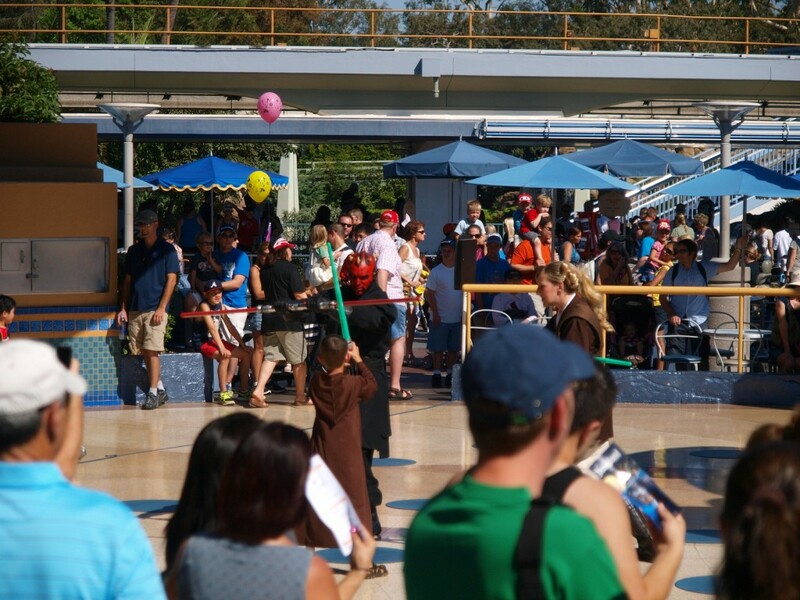 Kids can learn to be Padwans and “fight” both Darth Vader and Darth Maul with their own lightsabers. 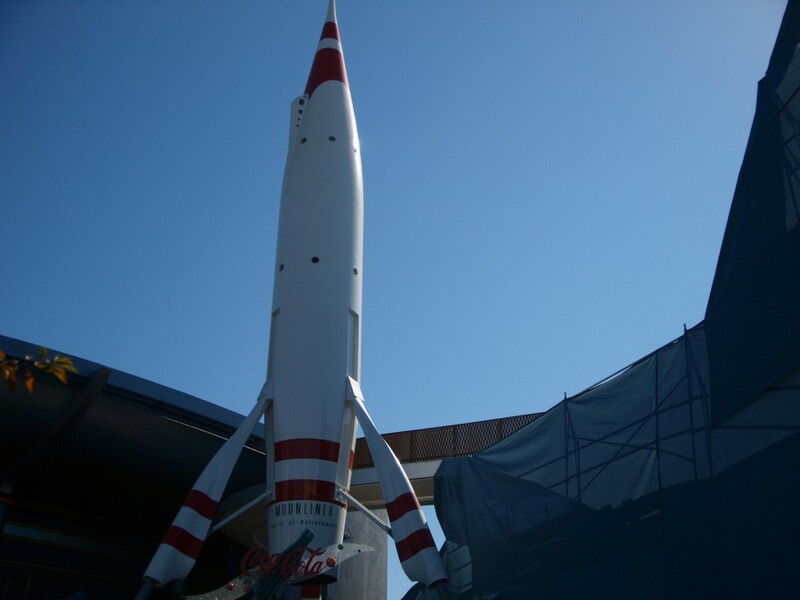 The “Moonliner” looks to be the rocket part of the original Star Ride. It remains forlorn as decorations. 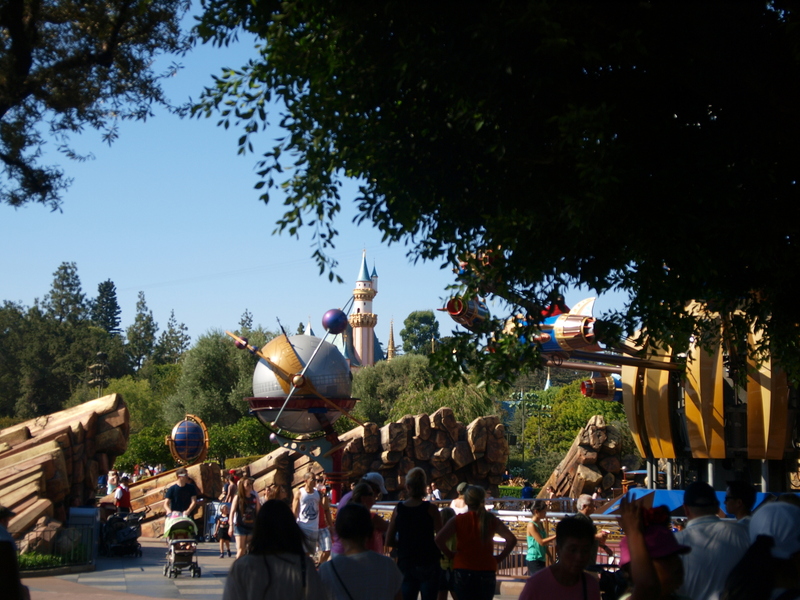 If find Tomorrowland fascinating in general because it was a glimpse of the future when it was built. “Tomorrow” held a lot of promise for many people. Now it’s Tomorrow, and it’s interesting to see how much everything not only diverged from that imagination, but also didn’t really change. How practicality trumped wishful thinking, and how certain technologies just never came to be. 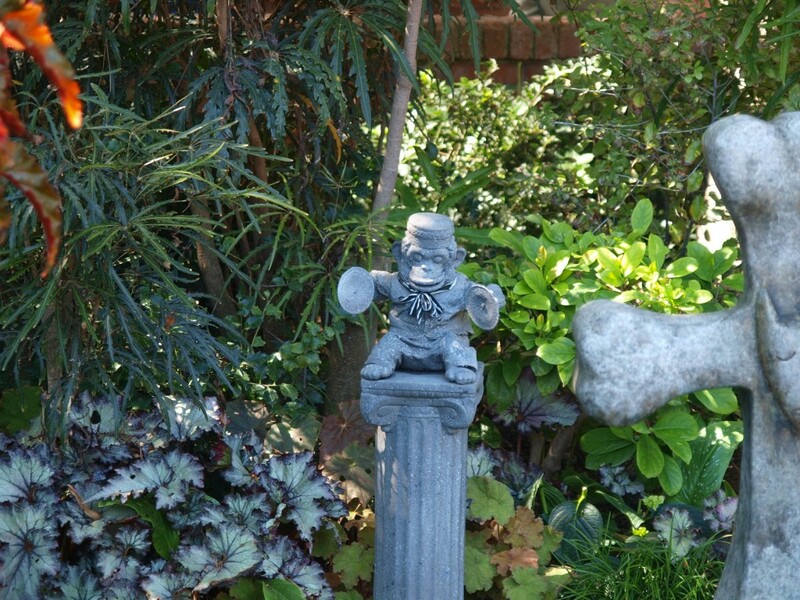 The Cymbal monkey is a statue in the “pet cemetery” of one of my favorite rides, the Haunted Mansion. 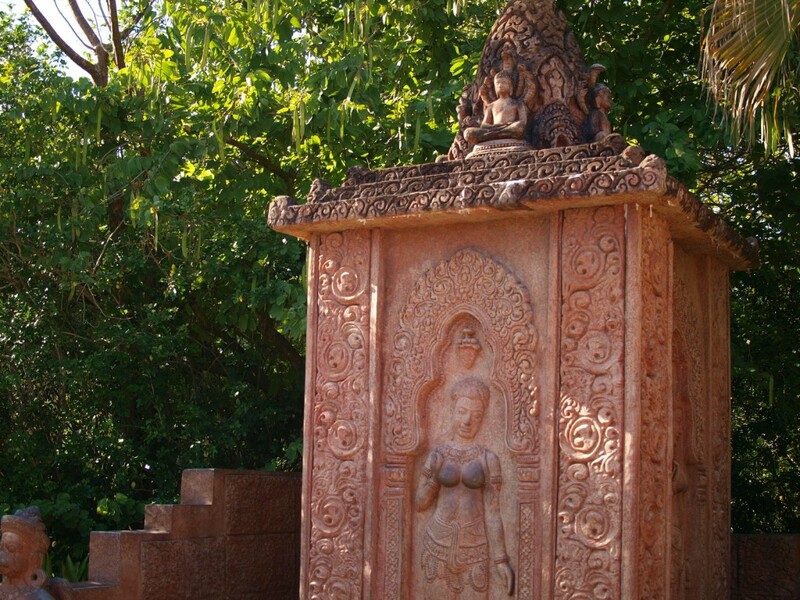 Most of the statues have a pun or funny little saying on them. Most of them are also a bit boring after reading the 100th time though, although I still get a thrill out of the ride and will ride it at least five times during a three day visit. 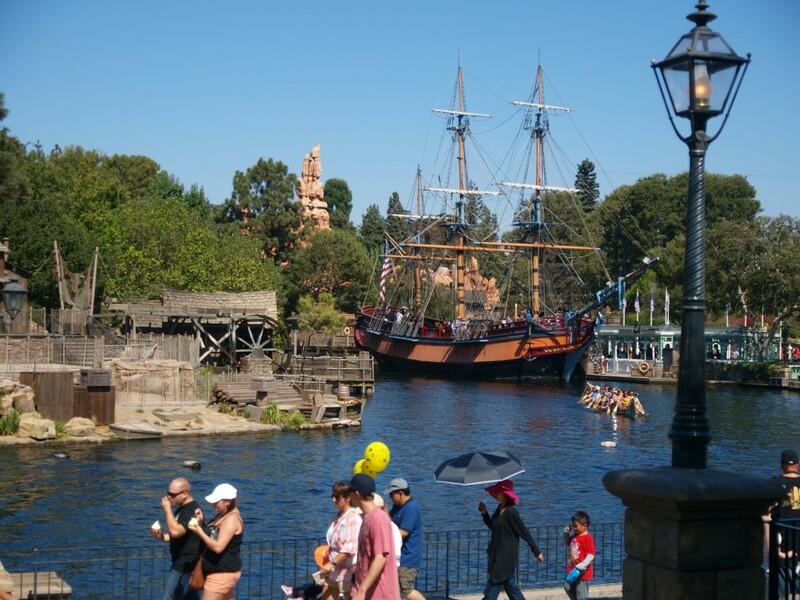 And of course, the Sailing Ship Columbia that occasionally circles Tom Sawyer’s Island, and plays host to an epic battle between Peter Pan and Captain Hook. Most of the time it just sits there as a huge prop, never moving, and frequently inaccessible. Back in April of 2012, I had my first chance to go to New York City for work. Among the many things I did while I was there, was to go through Central Park, and to The Metropolitan Museum of Art right next door. I can honestly say that right up until that moment I did not really “get” art at all. I could look at a piece and go “that’s nice, but it doesn’t invoke any emotion in me.” Or “what a ugly piece of junk. Who would want that around?” But going into The Met changed all of that. The piece that started it for some reason was this one. I did not think to get much information about it at the time unfortunately. 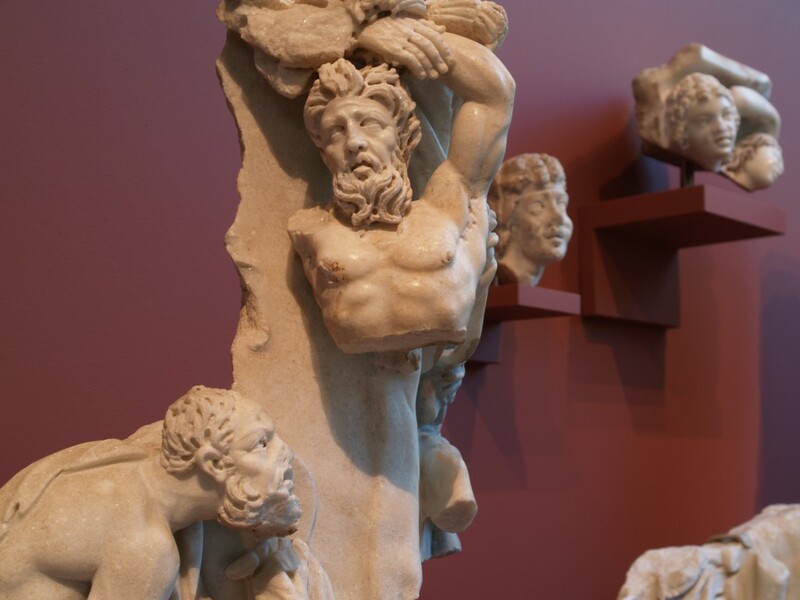 In fact I really enjoyed the Greek Art section a lot. This next piece though changed my thoughts around art of any kind instantly. 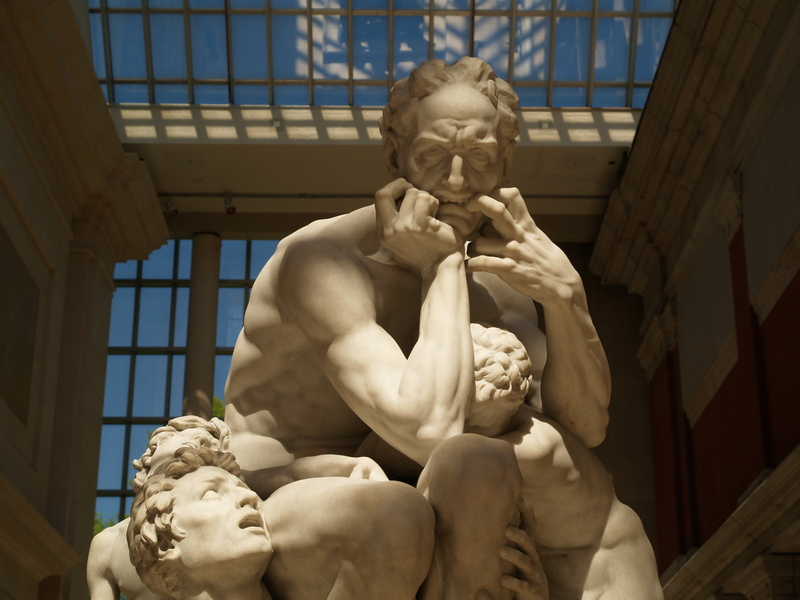 Titled “Ugolino and His Sons.” This piece by Jean-Baptiste Carpeaux portrays Ugolino (who was a real person) in Dante’s Inferno. 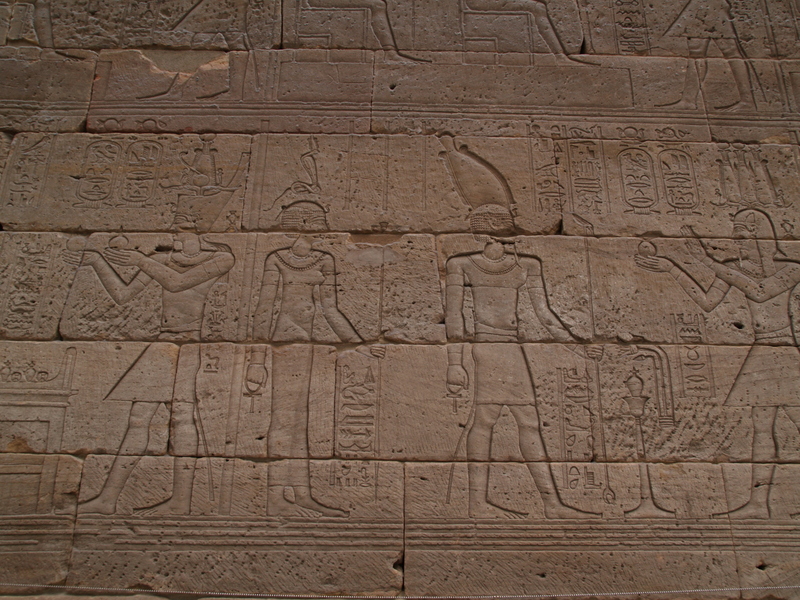 In addition to the hundreds of paintings that I viewed, not to mention tons of sculptures, entire rooms from different eras, armor and weapons, an Egyptian Temple stood inside the museum. Surprisingly, it’s not quite as large as one would really think it should be considering some of the Egyptian peoples other works. But I did find the hieroglyphics on the side to be interesting. Wish I could read them! While I’m not as big of a fan of this man as some people are, being born well after the popularity of Westerns was dying down, I would be remiss in acknowledging the contributions Gene Autry made to American Culture. Not knowing a lot about him, I visited the Autry National Center, located in Los Angeles’ Griffith Park across from the Los Angeles Zoo in early October 2012. Unfortunately being a combination art, history and television museum, many exhibits had “no photography,” signs, OR the light was so bad that the pictures turned out bad. 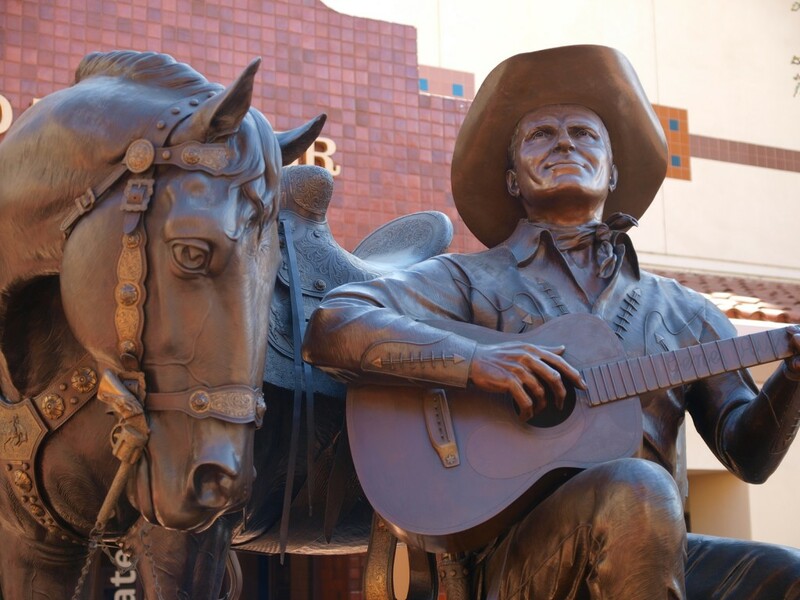 Gene himself is sitting in the courtyard strumming his guitar while his horse, Champion, looks on. 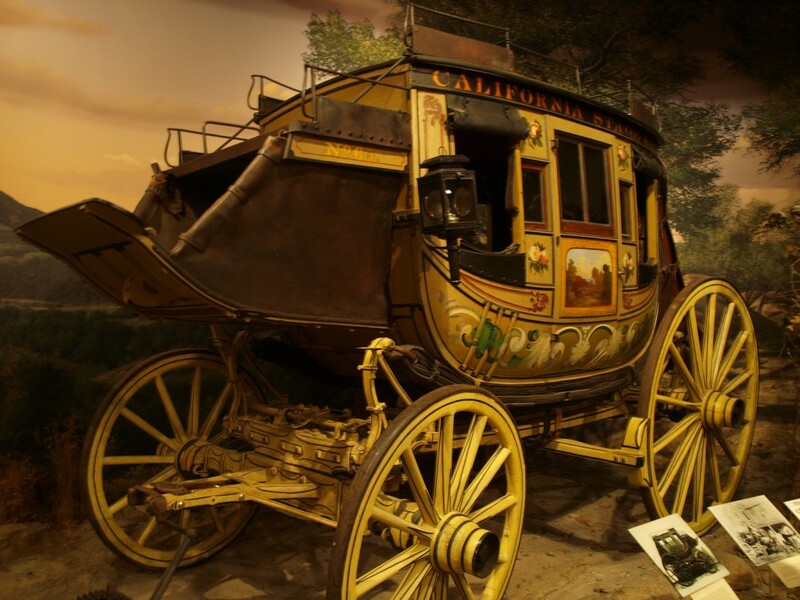 The museum is filled with artifacts such as this, a real stage coach. The sign says that the varnish used on this stage coach turned black over the years, prompting many to believe it had been in a fire at one point. It was a staple in many local parades through the past decades, until it became too rickety. Restoration experts started to strip the varnish away as the first step to restoring it, and to their surprise found that it was actually ornately painted. 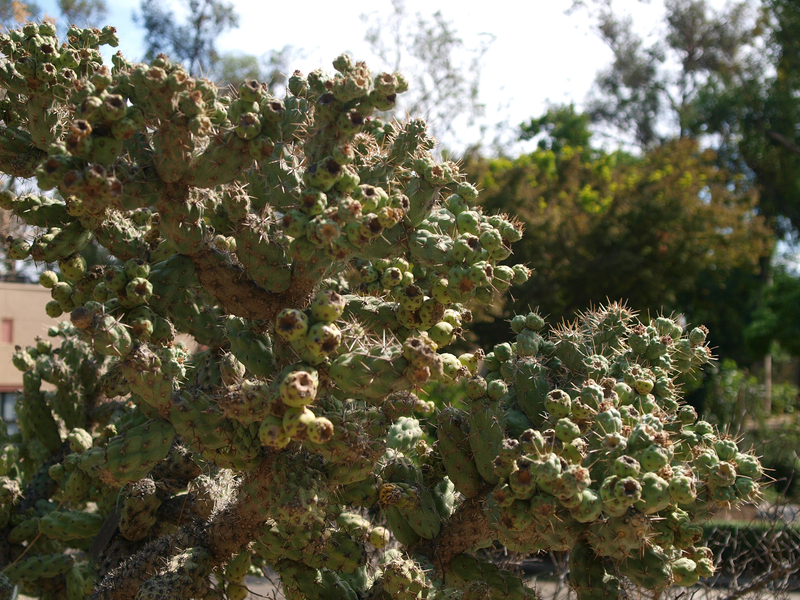 Of course no Western History Museum would be complete without a cactus or two around. Over all I enjoyed this museum. From the temporary exhibits about 20th Century Women Designers and Hopi Indian Art to the exhibits of famous TV Western Costumes and general Western History exhibits, it was quite informative. I’m willing to bet if I grew up on a bit more of those old Westerns, that I would have died and gone to heaven over the costumes and props. 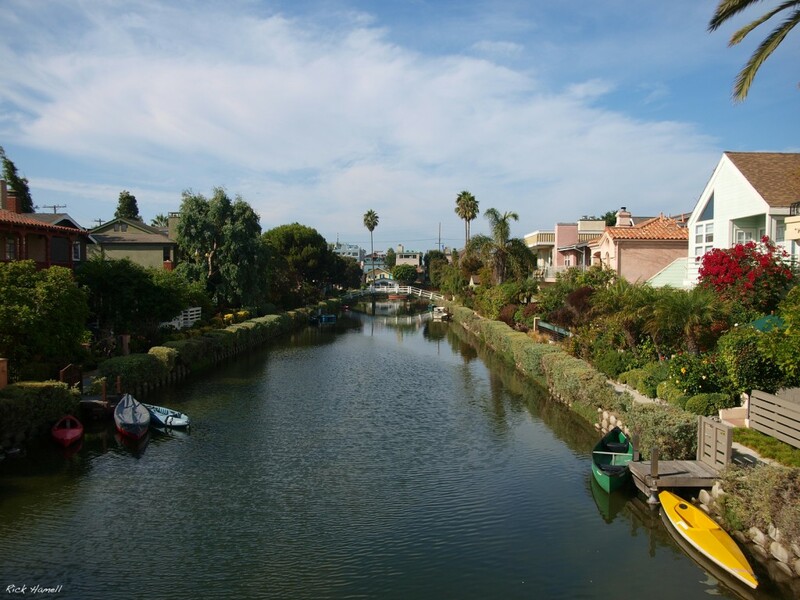 While a ways away from the rest of Los Angeles tourist areas, Venice is rapidly becoming one of my favorite destinations. 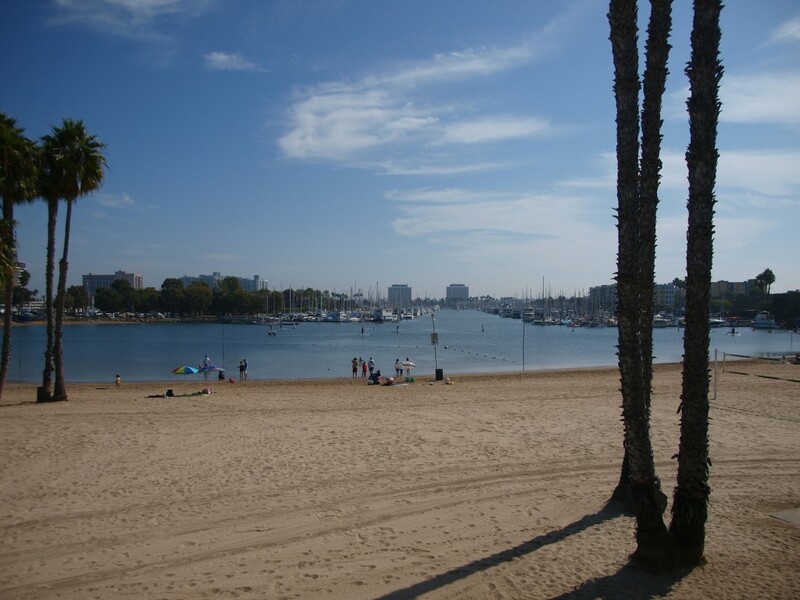 There are several decent hotels near Marina Del Rey, including ones that have a great view of the marina and Mother’s Beach. A few blocks away on Washington Blvd are dozens of great restaurants. Many of which are open early for breakfast/brunch, and don’t close until last call. I have yet to find a bad meal along this street. 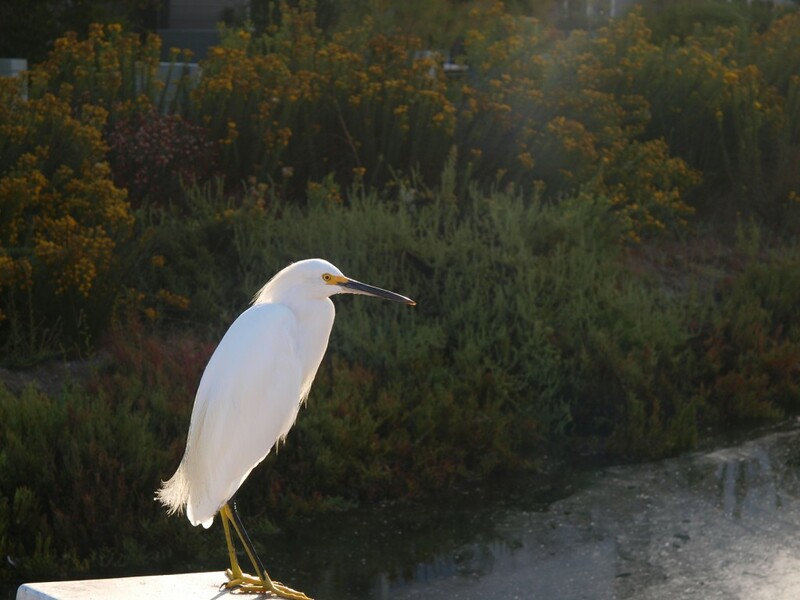 Continue even further west, and you come to the Venice Fishing Pier. 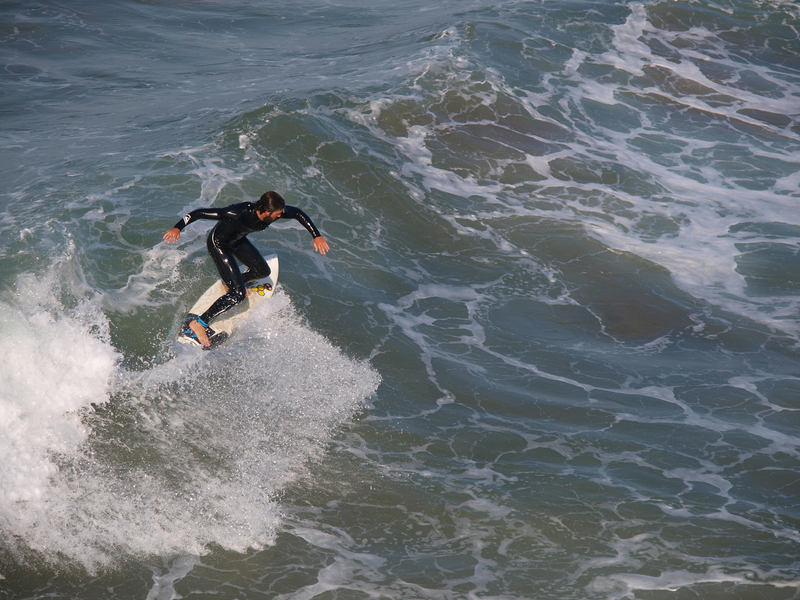 While not as “cool” as the Santa Monica Pier with it’s amusement park over the water, I think it’s a much nicer pier just to look at the water, watch the surfers, or go fishing. 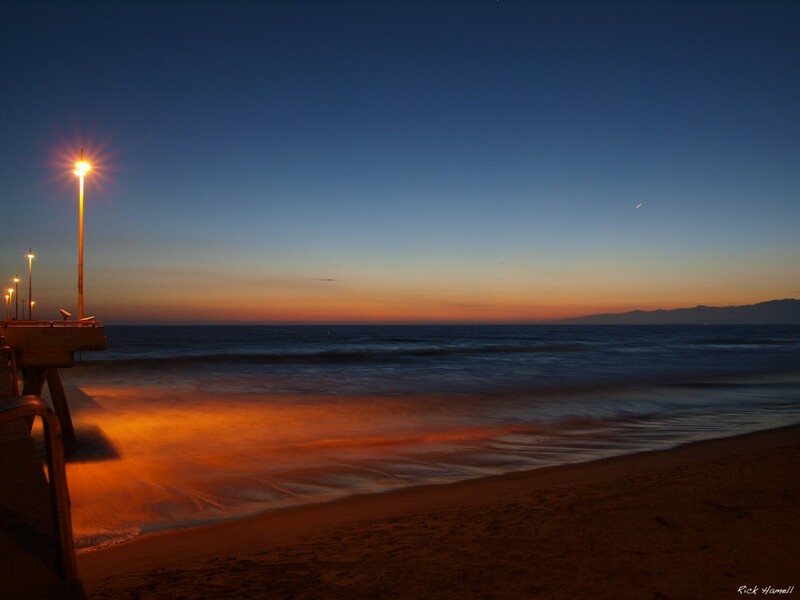 If you’re up for the walk, the Santa Monica Pier is a ways up the beach path. You’ll walk by muscle beach and a large area of vendors selling beach towels, t-shirts and other touristy geared stuff, all while admiring the nice houses that face the ocean. Some with whimsical touches such as a 12 inch by 18 inch piece of fake grass with a sign “World’s smallest yard” posted under it.